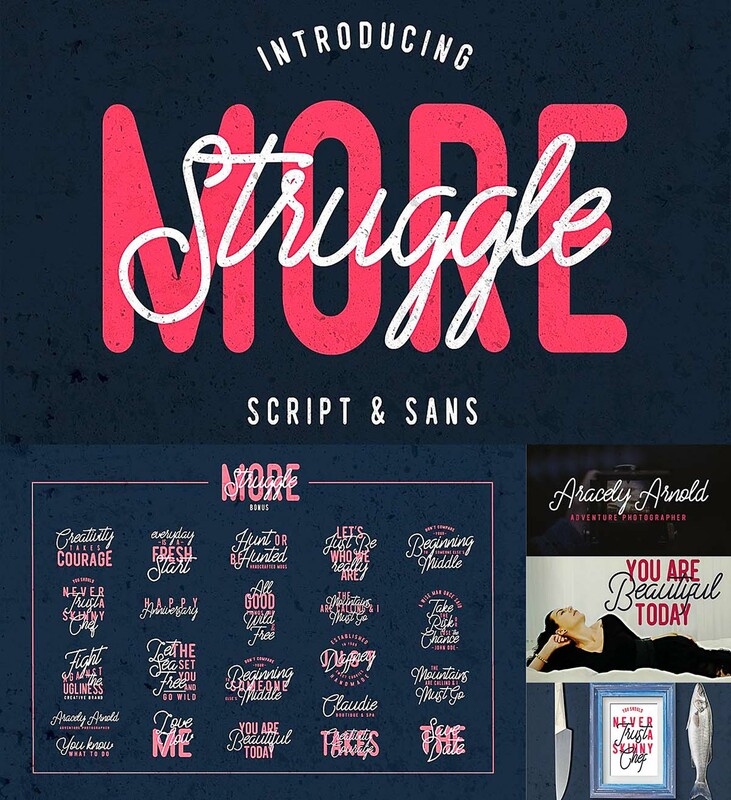 Introducing font duo Struggle more ( sans and script ). Both typefaces compliment each other very well, making this product perfect for use in logos, lettering, quotes, cards, flyers or anything you want. Tags: brush, font duo, letterpress, logo font, logo template, sans, script, typeface, vintage logo.